What Does Ephesians 4:13 Mean? It only takes a single moment to be justified in the sight of God. It happens when we place our faith in the finished work of Jesus Christ our Saviour, but from that moment onwards, we begin the life-long process of progressive sanctification. 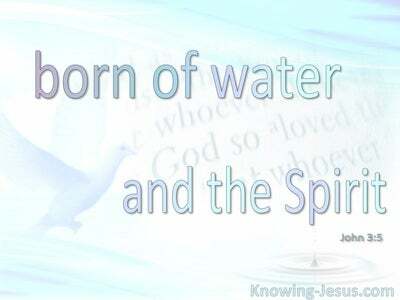 Christian re-birth happens as a one-time event, which takes place in a moment of time. However, the process of sanctification will not cease, until we all come to the harmonious state of Christian unity, spiritual maturity and Christlike conformity - when we see Him as He is. Indeed, the Lord has prepared a way for all his children to be united together in the faith, to grow in grace and to attain to a full knowledge of Christ. Indeed, His desire is that we all attain spiritual maturity and come to a full measure of development, in our Lord and Saviour. 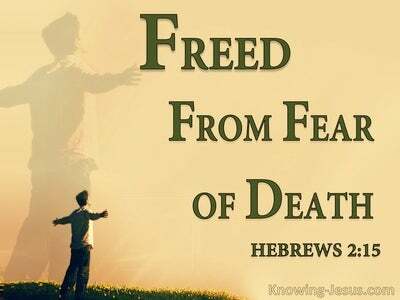 He did this by furnishing each one of us with certain spiritual gifts. He gave some as apostles, and some as prophets - through whom we have received the written Word of God. 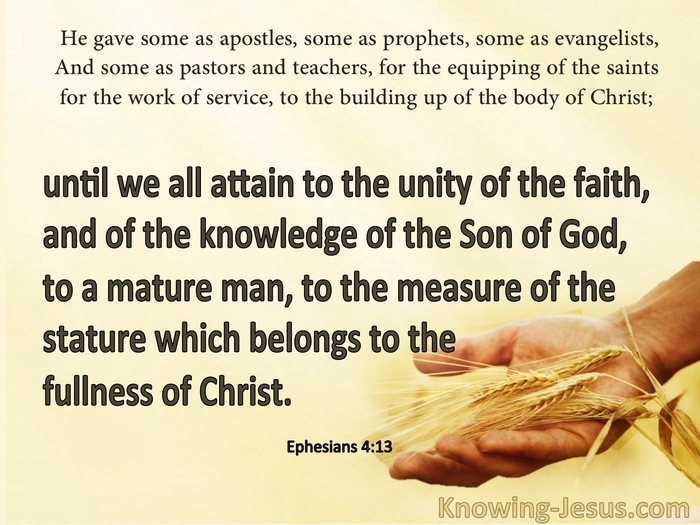 And some as evangelists, and some as pastor-teachers, whose role is to equip the saints in the service of our Father, in order that the body of Christ may be nourished in the Word of God, and built up spiritually. 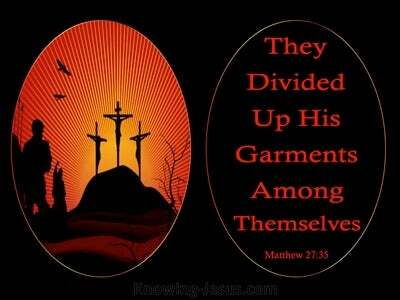 Attaining the unity of the saints and a knowledge of the Son of God will never be fully realised while we are still living on this earth, in our sinful state.. for our old, sin nature lusts against the new Christ-like nature, we received at rebirth. However, that should not prevent us from striving to attain the goal of Christlikeness, during our earthly walk, and God has given us all we need to reach spiritual maturity and be found like Him. The fleshly restriction we all encounter, should not prevent us from seeking to attain to the unity of the faith, or from coming to a deeper knowledge of Christ. We should press on, for the upward call of God in Christ Jesus.. and strain to become mature, in our own individual lives. But the full measure of the stature, which belongs to the fullness of Christ, refers to that time when every member of Christ's spiritual body is made perfect in Him. Unity in the faith and the bond of peace will only truly happen once the completed Church has been taken to be with the Lord. And although we are instructed to grow in grace and in a knowledge of our Lord and Saviour, Jesus Christ, we shall never be fully matured until we are raptured into His presence, for then we shall see Him as He is, and know as we are known. It is only when we go to be with Him, that we shall be fully like Him.. but this should never prevent us from living every moment of our lives for His honour and glory. At times, full and complete conformity into the likeness of Christ, seems a dim and distant shadow, of a far-away future inheritance. But He has promised that He will continue to build His church, until we all arrive at that final transformation, when our mortal bodies will be changed into the likeness of our Saviour's glorious body. 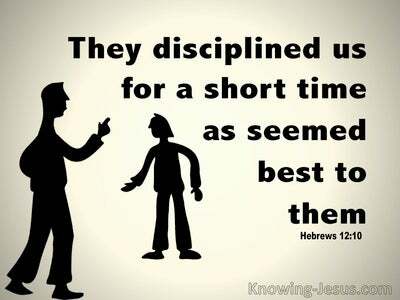 And He has generously bestowed on each of His children different gifts and talents, that are to be used to compliment and equip one another, as we all press on toward, the goal, for the prize of the high call of God in Christ Jesus. Let us use our spiritual gifts and graces to serve each other and to encourage one another. 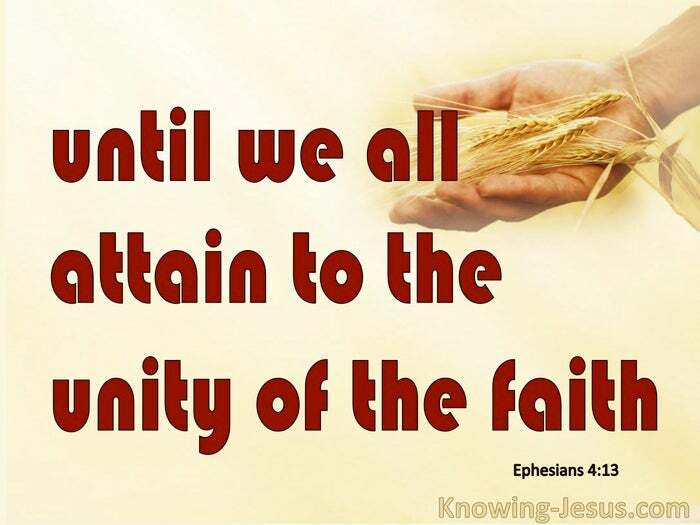 And let us strive to build each other up in our most holy faith, with an ever-increasing knowledge of the holy - until we all come to the unity of the faith, and a knowledge of the Son of God - until we are all perfected, to a measure of the stature of the fullness of Christ.